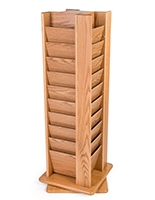 This spinning mahogany magazine rack has forty pockets measuring 9" x 8" x .75". 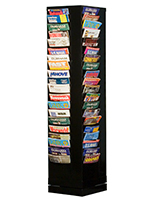 This tiered design allows you to have the front cover visible no matter how much literature is on display. 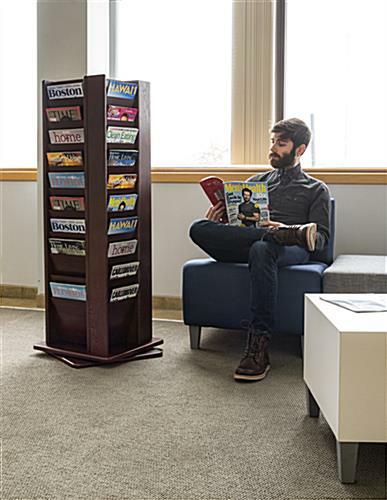 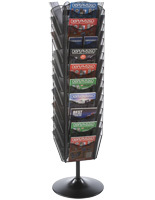 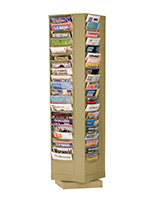 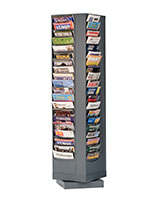 The entire mahogany magazine rack rotates on its base making an easy browsing experience for customers. 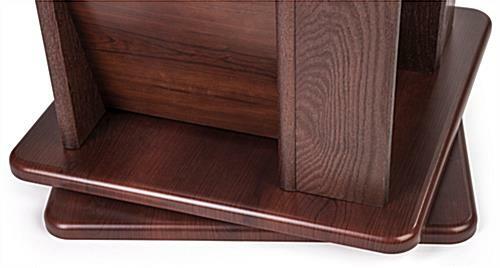 Entire dimensions are 18" wide x 50" high x 18" deep. 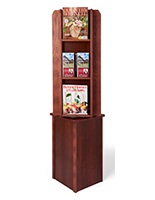 Each magazine rack features solid oak construction and a red mahogany finish. 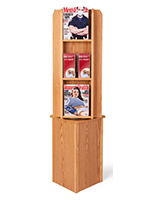 The durable and classy looking displays require minor assembly for a quick setup. 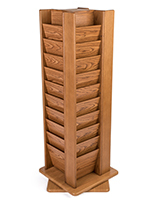 17.5" x 50.0" x 17.5"
9.0" x 8.0" x 0.75"